1. 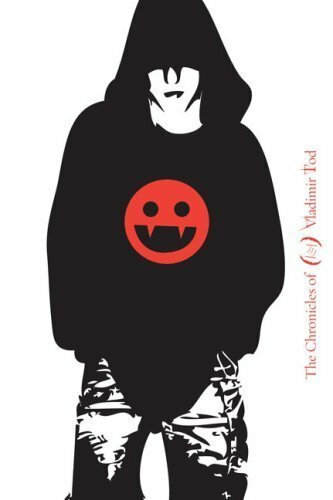 The Chronicals of Vladimir Tod (8th grade bites). This is one of my 最喜爱的 books. Its a vampire book 你 HAVE TO READ IT!!!!!!!!!!! ITS SOOO GOOD! PLEASE READ!!!!!!!!!!!!!!. Wallpaper and background images in the 值得一读的书 club tagged: books image reading pleasure vampire best awsome. This is one of my 最喜爱的 books. Its a vampire book 你 HAVE TO READ IT!!!!!!!!!!! ITS SOOO GOOD! PLEASE READ!!!!!!!!!!!!!! This 值得一读的书 photo might contain 运动衫. PLEASE PLEASE PLEASE PLEASE GO & READ THIS BOOK ITS SOOOOOOOOOOOOO GOOD!!!!!!!!!!!! IM BEGGING YOU PLEASE!!!!!! I absolutly loved this book!